Welcome to a new edition of Friday's Giveaway Roundup. We apologize for not having one the past couple of weeks. With twice a week doctors visits, the Thanksgiving Holidays, and all things baby, it's a wonder we even have time for sleep these days. Well this week isn't much different. We are at the 38 week mark as of this past Tuesday and we are just waiting for the chain reaction to start. Until then let's get you up to speed on some great gear giveaways going on in the outdoor blog-o-realm shall we? You are going to love this one. Earlier this week Hendrik, of the well known Hiking in Finland blog and creator of the upcoming video series Ultralight A-Z, has announced the Hiking in Finland Advent Calendar giveaway. Every day starting on December 1st, Hendrick will be giving away a piece of utlralight hiking/backpacking gear, climbing gear, or bicycling gear to 1 lucky reader per day. There will be different things you will have to do to get your name in the hat, and you can only win one prize through the 25 days of Christmas. So you will have to be very strategic as to what pieces of gear you are willing to win. Head over to Hiking in Finland for the rest of the details on this uber-awesome giveaway. Next up, Jason and his crew at Outdoor Informer have worked their magic once again for an awesome giveaway for the month of December. 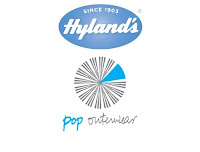 This month you can enter once a day (as always) to win the following prize pack: (His and Her jackets from Pop Outerwear and a healthy prize pack from Hyland). Head over to Outdoor Informer for more information on this prize pack and to get entered to win. 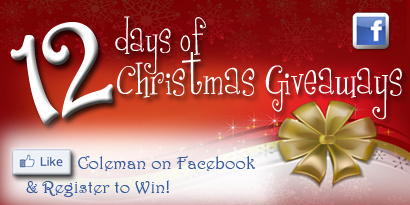 Another Christmas inspired giveaway is happening with Coleman. They are only half as generous as Hendrik with only 12 Days of Christmas, but it's Coleman Gear and who doesn't like Coleman Gear, wait don't answer that. I'm sure there are probably plenty. We've got Coleman gear and the gear we do have we love and wouldn't mind winning some more. So if you're game, head over to Coleman's Facebook page and get signed up to win some sweet Coleman Gear in their 12 Days of Christmas Giveaway. Finally, the Gore-Tex brand just recently launched a great photo/video contest. 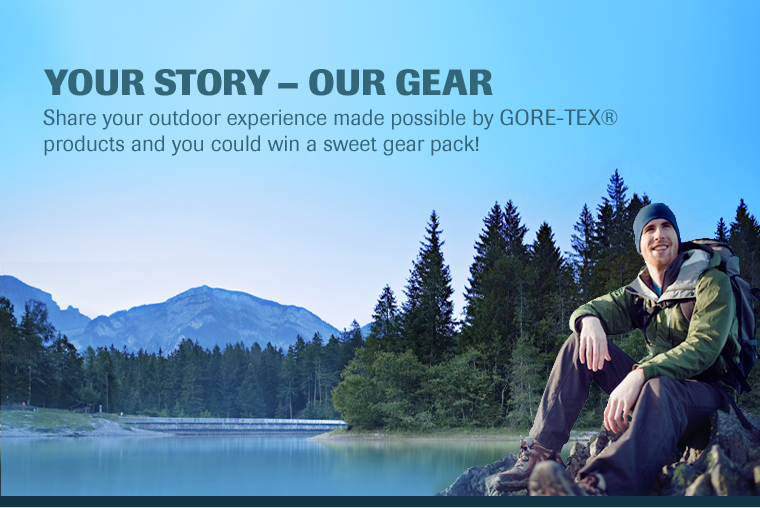 The Gore-Tex Your Story - Our Gear contest runs until December 19th but you only have until December 15th to get your entries in. To enter you just need to submit a story and an accompanying photo or video. Of course the story and video needs to focus on how your Gore-Tex gear enhanced your adventure. Once that's done start soliciting your friends and families for votes. After the 15th the top 10 vote-geters go to a final round where judges pick the final overall winner. Up for grabs is a prize pack of Gore-Tex gear from one of the following brands: Arc'Terx, The North Face, Patagonia, or Marmot. Head over to Gore-Tex's Facebook Fan Page for more details.